At UConn, we offer a diverse and intellectually rigorous English curriculum that fosters vital skills in reading, writing, research, and analysis. Our students are thoughtful, creative, and effective communicators who share a deep curiosity about life’s great questions. Our faculty members are dedicated teachers and experts in their fields, which span writings from every major region, historical period, and genre. We keep our class sizes small, so students have plenty of opportunities to develop close working relationships with faculty mentors. Together, we nourish our passion for language and literature in their many forms. A degree in English will give you access to a vibrant community of thinkers and writers, while preparing you for a broad range of career paths. Our graduates have gone on to jobs in publishing, education, marketing, and other areas, as well as advanced graduate and professional study in fields such as law, journalism, and business. 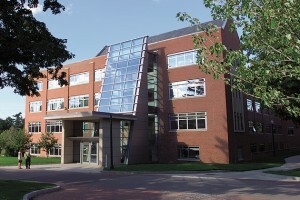 English majors may pursue concentrations in Teaching English, Irish Literature, or Creative Writing, among others, and additional opportunities include study abroad in London, summer and academic-year internships, and contributing to the Long River Review, UConn’s undergraduate literary and art magazine. For more information about the major, please visit the university’s undergraduate catalog, the English Advising website, or contact Inda Watrous, our undergraduate academic advisor. If you’re interested in coming to the Storrs campus from any of the five regional UConn campuses, please contact Margaret Breen, our regional campus change advisor.